You know, whoever decided to stuff dough with delicious fillings should really be honored. And I mean a statue in the park, face on a stamp, day of acknowledgement kind of honored because bready dough wrapped around flavorful fixings is hard to beat. It is tasty, easy to eat and-did I mention tasty? So who said vegans have to stay away from yummy empanadas. Yes, most fillings include meat. 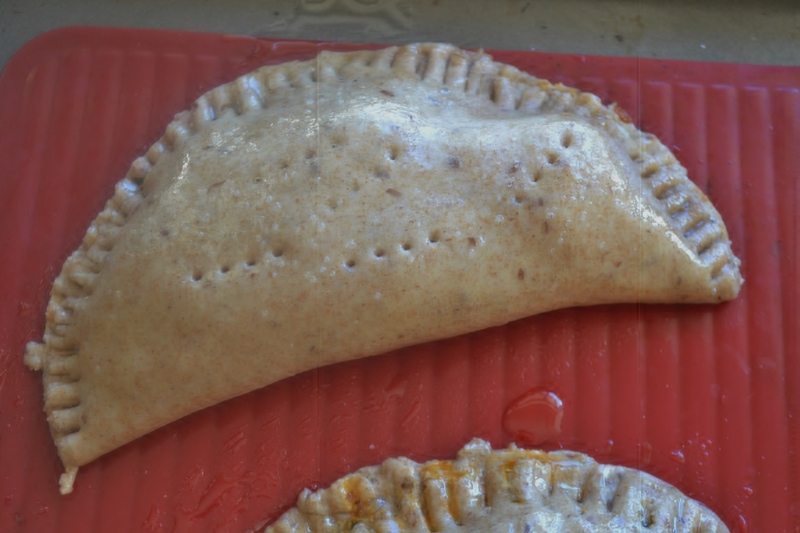 Yes, most empanada dough recipes use eggs and butter but that doesn’t mean vegans have to yield to their empanada cravings. Well this recipe highlights the veggies and does away with animal products. 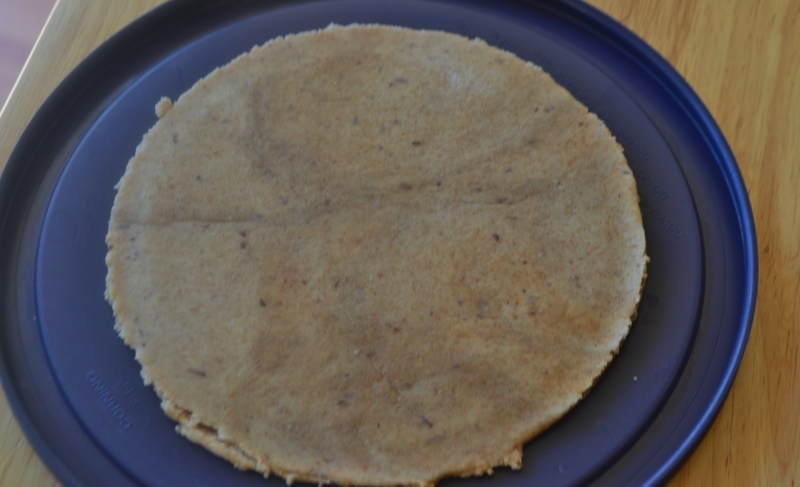 Flax seeds create a great egg sub and oil replaces the need for but-tah. As for the filling, kale rocks (I still cannot get over how great kale is. I don’t care how played out it is.)! 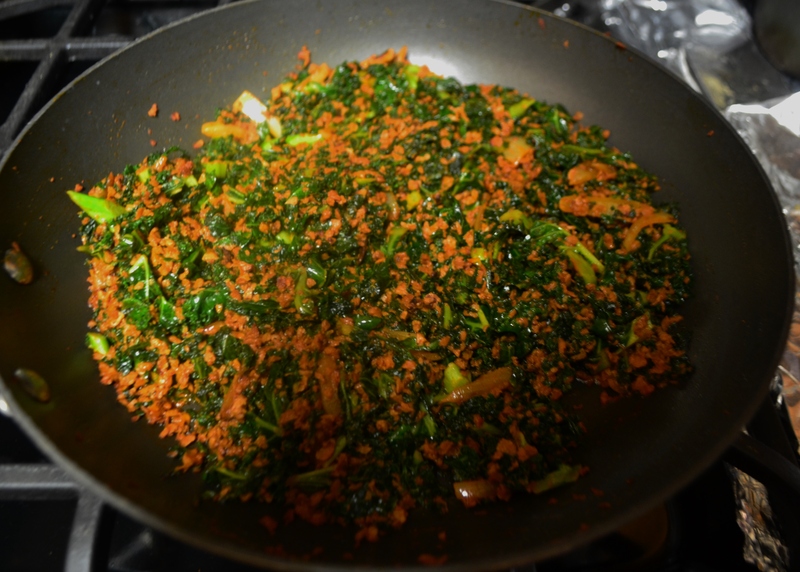 And a nice spicy vegan chorizo marries well with the kale. 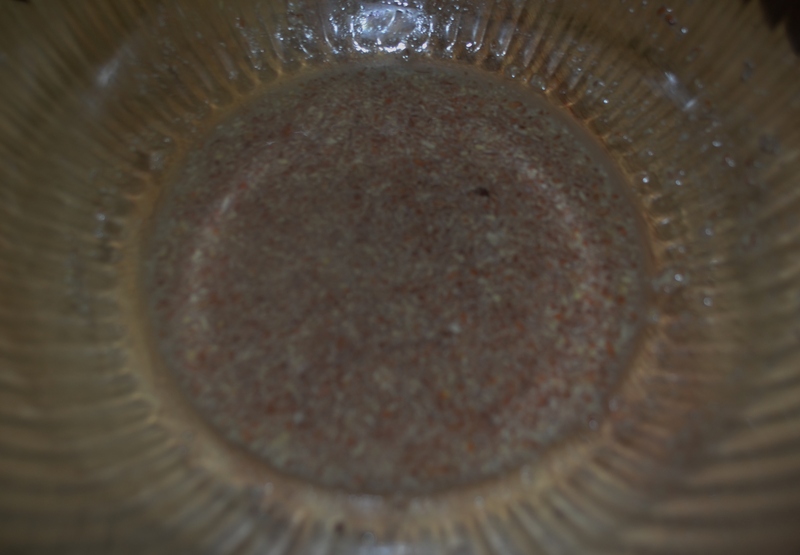 For the dough: first mix ground flax seeds and water in a bowl and set aside for at least 5 minutes to create a flax seed egg substitute. Mixture will thicken and appear goopy? slimy? egg whitish? Place flour and salt into a mixing bowl. Stir making a well in the center (Still not sure why but all I just know you have to). Next add the flax seed mixture and oil in the center of the well. Pour about ¼ of the water into the bowl and, using your hands, mix to form dough. Add more water as needed. Dough is ready when it forms into a ball but is not overly sticky. Refrigerate for at least 30 minutes. Note: the oil may begin to separate but that is fine. It will incorporate back in once you start rolling it. When ready to use take dough out of the refrigerator and let sit for about 20 minutes. Roll out dough to a flat sheet. Using anything circular whatsoever cut out discs from the dough. For filling: heat oil in a medium or large sauté pan. Add onion and garlic and cook until onions are soft and garlic is fragrant. Add chorizo to the pan and, using a wooden spoon crumble the chorizo. Continue to cook until chorizo gets some color. Add kale to the pan and toss gingerly to get kale to wilt. Add more salt as needed and chile flakes. Let mixture cool before attempting to assemble. Place filling about ¾ down the center of the empanada shell. 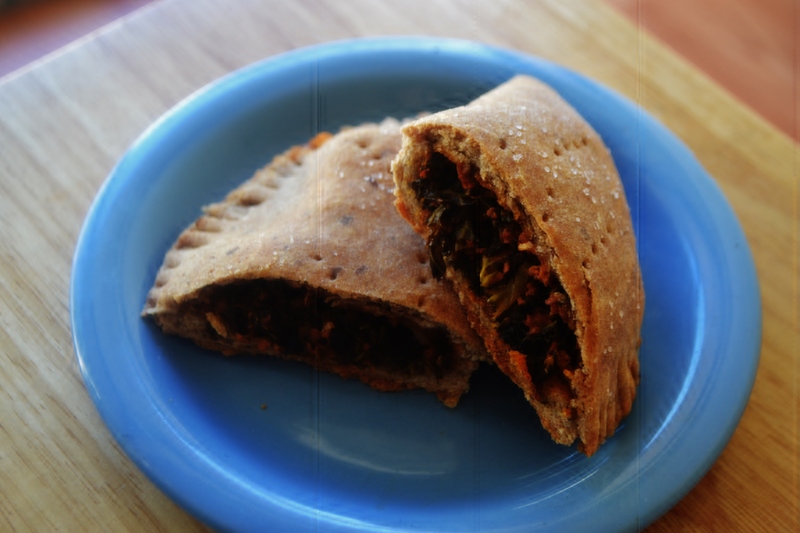 Depending on the size of the empanadas use anywhere from ½ teaspoon of filling to 1 tablespoon. The key is to not use too much filling or it will leak out. Fold down the center and using a fork crimp the edges of the empanada to seal. Place on a cookie sheet, prick empanadas a few times with a fork and brush with oil. Lightly sprinkle the tops of the empanadas with salt. Place in a 375 degree oven for 20-25 minutes or until golden brown. Let stand for about 5 minutes before trying to remove them from the cookie sheet. You can do so much with soyrizo. Beans and soyrizo make for a perfect breakfast as well. It’s also a great filling for enchiladas.